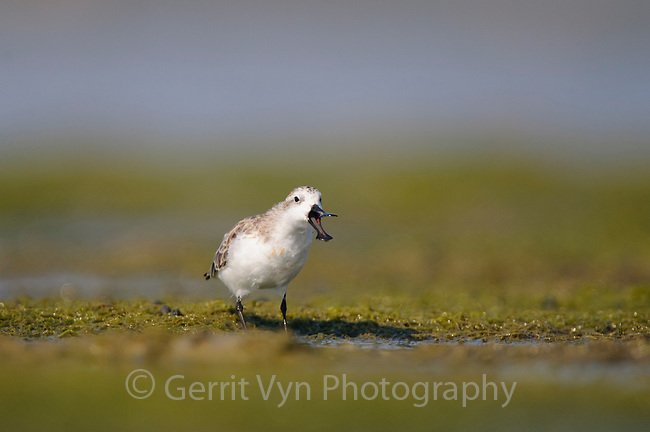 Spoon-billed Sandpiper (Eurynorhynchus pygmeus) bill stretching. Rakhnine State, Myanmar. January.